Tessa shows her "wild" side today - but in an adorable way! 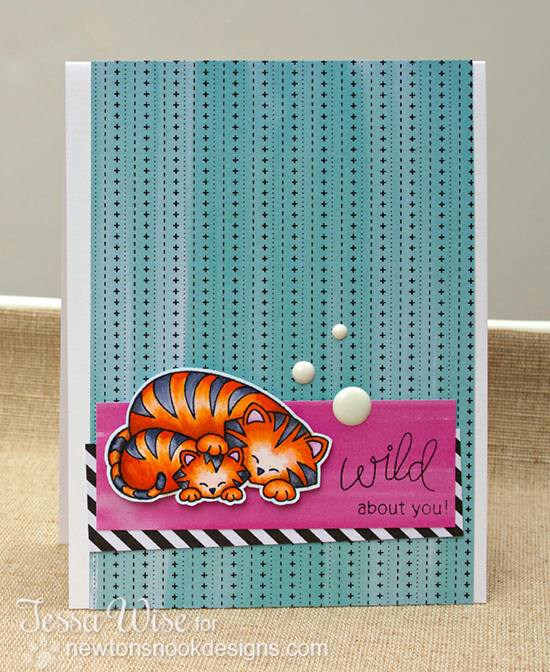 She used the two snuggling tigers from our new Wild Child set to create this fun card! I LOVE how she colored those tigers - her shading it so perfect! And the color combo of pink, teal and black really pops! Thanks for dose of fun today, Tessa! To see more of Tessa's amazing work, make sure you pop over to Tessa's blog, Crafty Girl Designs and say hello! oh wow!!! love this!!! look at that incredible coloring!! what a sweet card!! i just love the teals, pinks and oranges!! so super trendy!